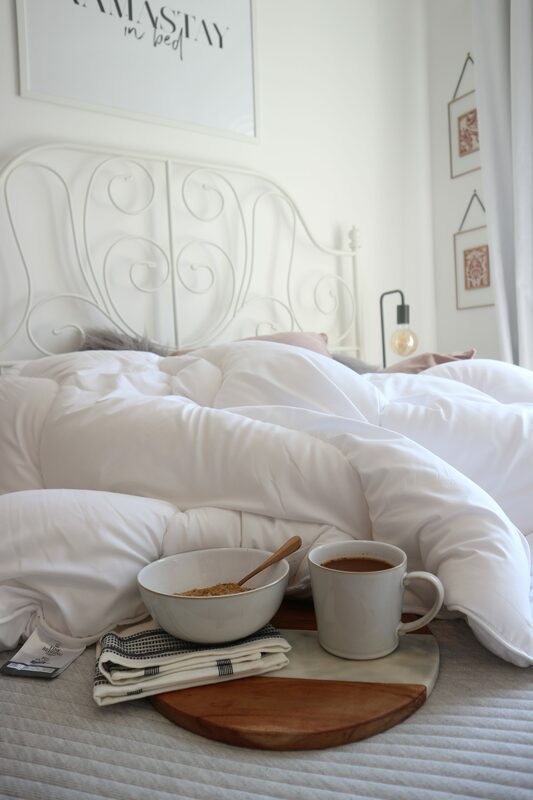 *The Eco-duvet and Denby items were gifted from Debenhams to create this post. Luxury that doesn’t cost the earth. 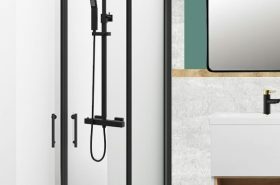 Eco Friendly products have increased in popularity over the last few years, and rightly so, why would you want to negatively affect the environment when there are so many affordable and sustainable options available? There’s so much information out there trying to explain how to live a more sustainable life, but it’s sometimes quite difficult to find products that fit into this ethos. 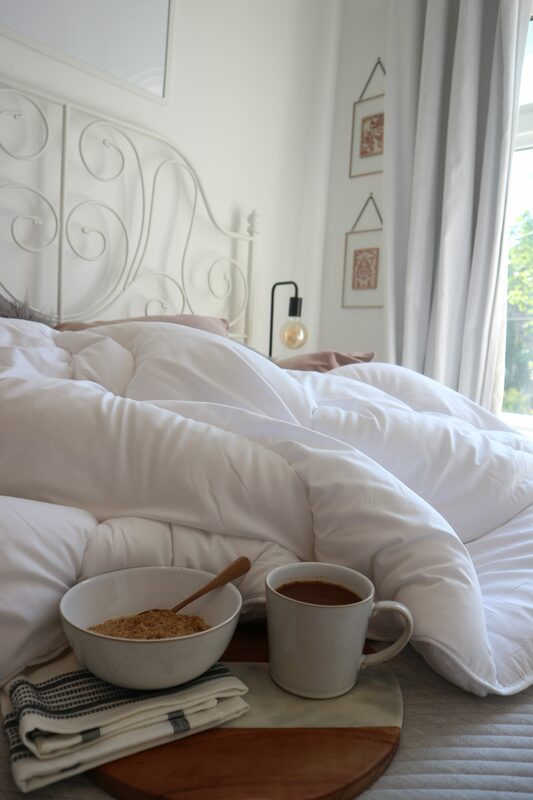 Debenhams got in touch to ask me to promote the Fine Bedding Company eco duvet which is a great option if you are looking to live that eco friendly lifestyle and fill your home with sustainable products. It’s a luxury microfibre duvet made entirely of recycled products and made in an award winning eco factory, using 100% renewable energy. It has advanced Smartfil® fibres that are made using 100% recycled microfibre filling. The super soft filling is made from 100% PET plastic bottles, with approximately 120 bottles making up a 10.5 tog double duvet (which I think is incredible, just on it’s own). 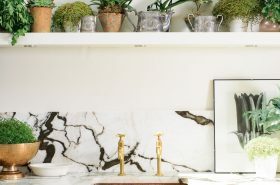 Sustainable homeware is something that’s constantly on my mind at the moment, and it’s great to see more and more companies offering great products that also help to save the environment and clean up the world we live in. 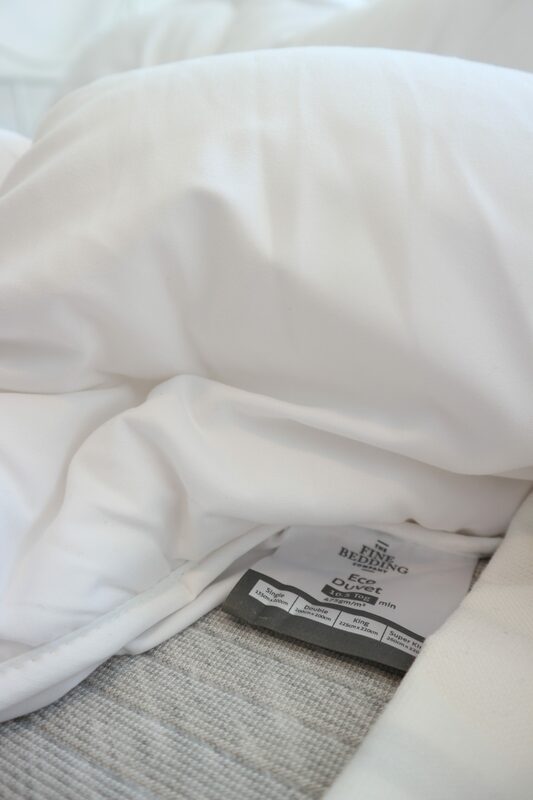 I always thought that products made from recycled materials would never be as soft and luxurious as their man-made alternatives, but this duvet has a 100% recycled soft touch microfibre cover, which is probably twice as soft as the duvet I had on my bed before. It’s breathable (a must for those sticky, summer nights) and hypoallergenic so you should get a restful nights sleep without irritating allergies. It can be washed at the energy saving 30°C setting at home in your washing machine and it’s also quick-dry so it means you’re not wasting any more energy attempting to dry it. They’ve even gone the extra step and made all of the packaging out of 100% recycled and recyclable materials, something I always think about with the huge amount of packaging that’s still used by so many companies. It’s so easy to pick eco friendly products nowadays and implement them seamlessly into your home without worrying about diminished quality. Links to the Denby mugs and bowls featured in the photos. This post contains affiliate links – buying from these links does not cost you any more, I just make a small commission. I think they do ship to the US, it’s definitely worth looking in to!